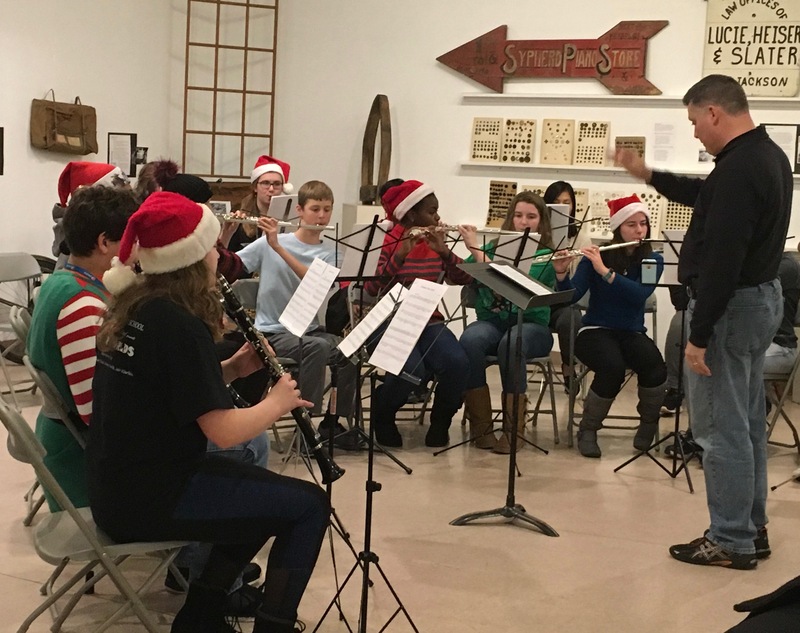 The community was treated to classic holiday music performed by the MHS Brass and Woodwind Ensembles lead by HS Band Director Doug Mattsey at the Western Illinois Museum for the 24th Annual Dickens on the Square Friday evening, December 1. 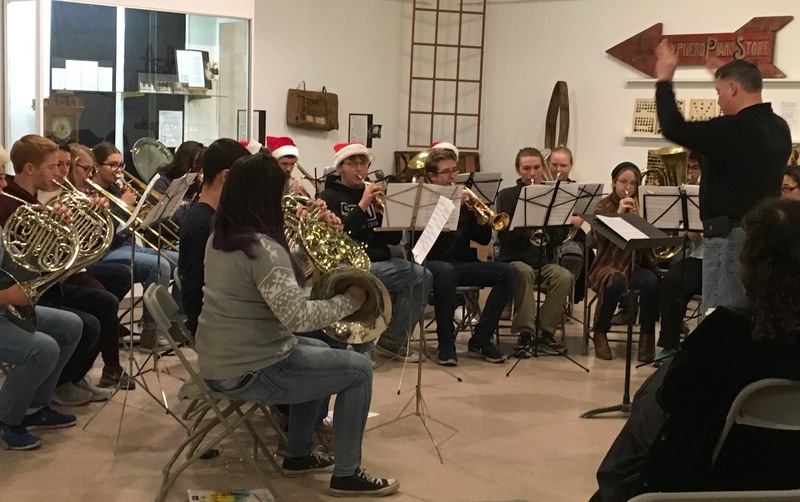 Select MHS students attended the all-day West Central Conference Music Festival at WIU, ending with an evening concert performance on November 15, 2018. Those participating were Sanjana Babu, Clara Barclay, Carter Benson, Olivia Bishop, Rachel Bosworth, Richard Engel, Halle Evans, Sasha Grigortsuk, Lucy Gruidl, Breanna Hall, Lily Mansfield, Samantha Mattsey, Hannah Murray, Breanna Rhoads, Hannah Robinson, Karem Tasdan, Ben Walker, Micaela Windsor and Gabe Zahnle. 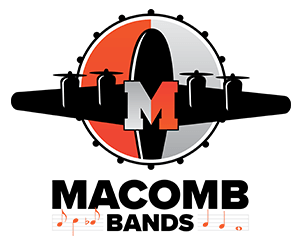 Congratulations to the MHS band students who performed at the Illinois Music Educators Association (ILMEA) District IV Concert Festival held November 3 at WIU. 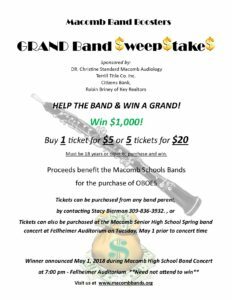 Macomb was well represented in the Senior Band and Senior Orchestra by these amazing young musicians: Aleksandra Grigortsuk, Gibson Blankenship, Richard Engel, Halle Evans, Jamie Im, Hannah Robinson, Lily Mansfield, Samantha Mattsey, Carter Benson, Brooks Wallace, Hannah Murray and Joey Trost. Additionally, Bennett Walker will be performing for the District IV Jazz Festival to be held at Glenwood HS on November 17.
pose with trophies won at the Western Illinois University Marching Band Classic. 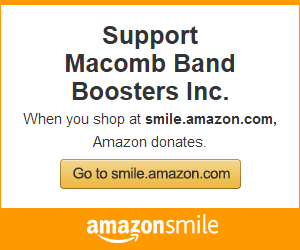 The Macomb High School Marching Bomber Band won awards at two competitions on Saturday, October 20, including winning the Dale F. Hopper Small School Division Grand Champion Award at the Western Illinois University Marching Band Classic. The band’s marathon day started with a bus ride to Normal at 3 a.m. for the Illinois State University Marching Band Championships and finished on cold, windy Hanson Field at 9:30 p.m. The day began and ended in triumph as the band first won the award in their class for Outstanding Musical Performance at Illinois State. At WIU, the band won first place for class 2A and was named the Grand Champion for classes 1A and 2A. 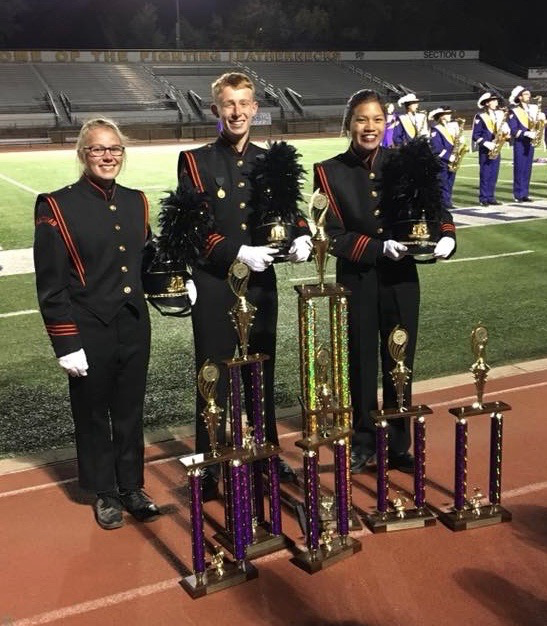 In addition, the band swept the caption awards in class 2A, including Best Winds/Instruments, Best Percussion, Best Auxilary/ Color Guard and Best Drum Majors. Section Leaders are Sasha Grigortsuk, Breanna Rhoads, Lily Mansfield, Kerem Tasdan, Carter Benson, Anabelle Clark, Hannah Murray, Clara Barclay, Megan Redding, Madeline Weiss, Marc Musser, Rachel Bosworth, Joe Burkholder, Ben Walker, Richard Engel, Leslie Eutsler, Addison Fowler, and Lily Dunsworth.